Known as scq’wulsm to the Spokane Tribe, Mount Spokane has been important to local residents for 10.000 years. While Mount Spokane was never officially a Spokane Park, the Spokane Parks department helped take care of it and was concerned with its future. 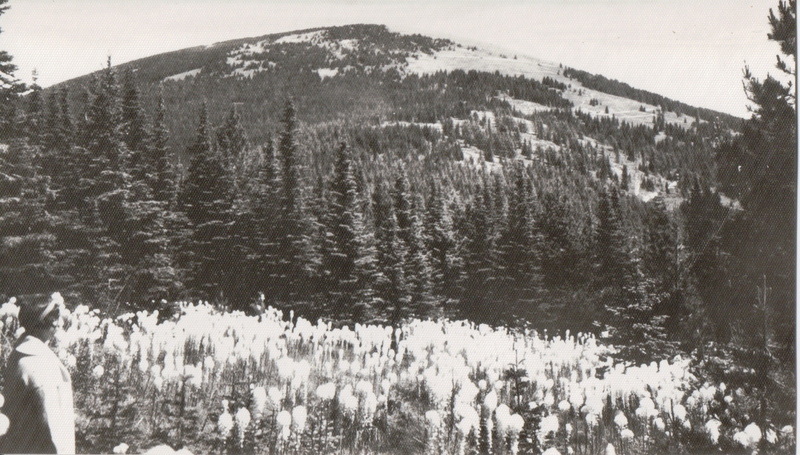 Previously known as Mount Baldy and Mount Carlton, Mount Spokane got its name in 1912. Spokane resident and businessman Francis H. Cook, also of Manito Park fame, purchased the summit of the mountain and started a road to the top in 1909. It fell short of the summit by three miles but was completed in 1912. 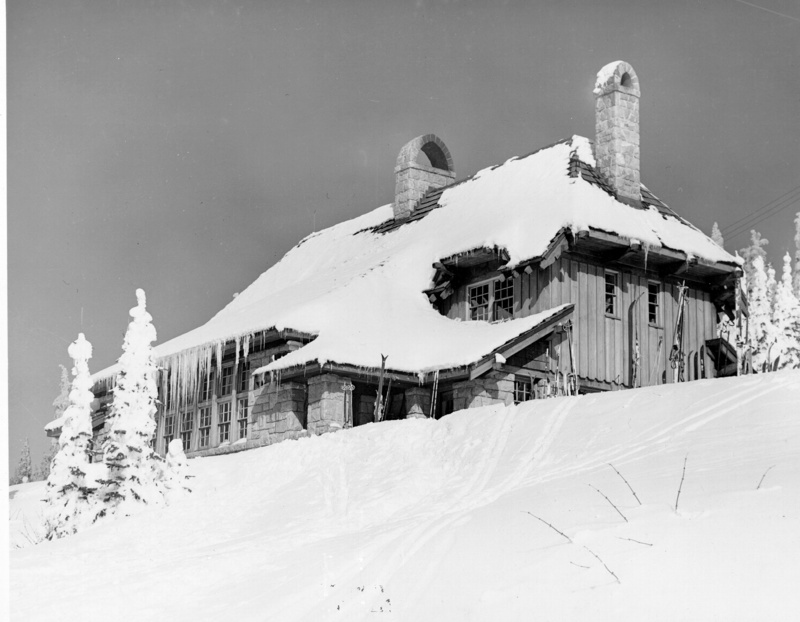 The Cook family continued to use a small cabin on the mountain until 1926. 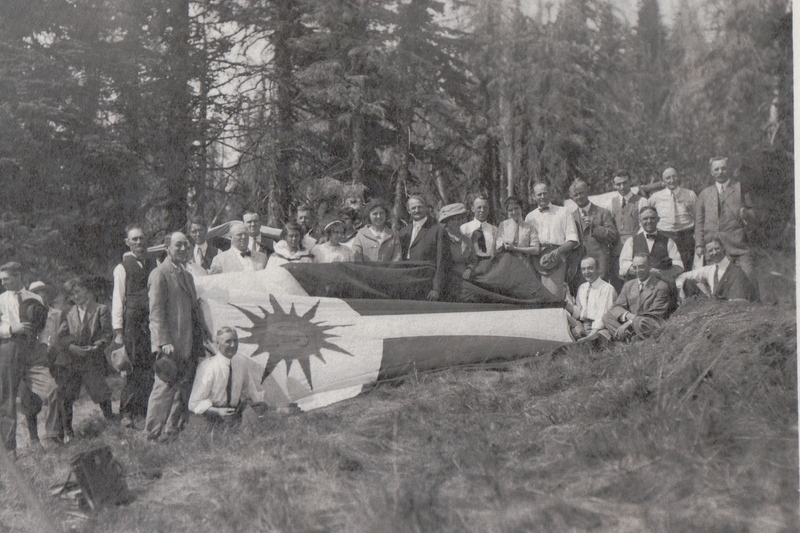 The dedication of Mount Spokane was attended by Governor Marion E. Hay, the first Miss Spokane (Marguerite Motie), Aubrey L. White, and the Cook family in 1912. Frank W. Guilbert and the Inland Automobile Association felt the mountain was important to Spokane as it brought tourists to the area. Other businessmen helped hold the land including hotel owner, Louis M. Davenport and newspaper owner William H. Cowles. 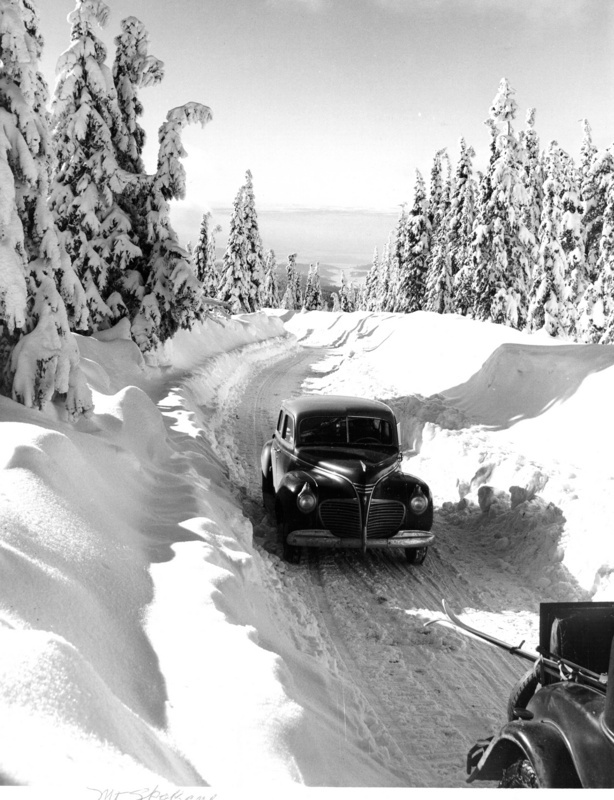 Mount Spokane State Park was officially dedicated in 1927 with a total of 1500 acres. This was the first state park east of the Cascades. 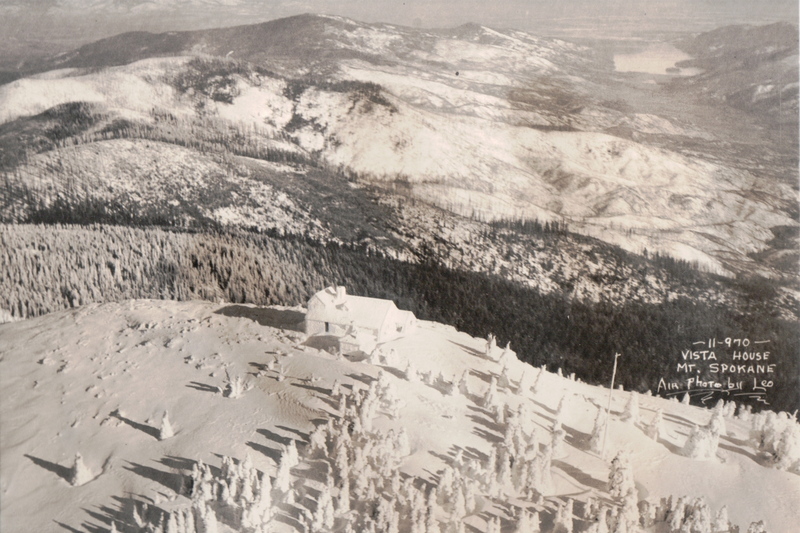 In the 1930s the Spokane Ski Club, the Selkirk Ski Club, and the Spokane Mountaineers purchased over 500 acres to use for the construction of lodges, rope-tows, and ski jump hills. The first double chair lift was built in 1947. Today the Mount Spokane area includes 13,919 acres and the view from the top of the mountain on a clear day includes surrounding states and Canada. People enjoy climbing, skiing, snow shoeing, mountain biking, snowmobiling, horseback riding, and hiking. Road to Mount Spokane date unknown: Image courtesy of the Tony and Suzanne Bamonte Collection, Spokane, WA. 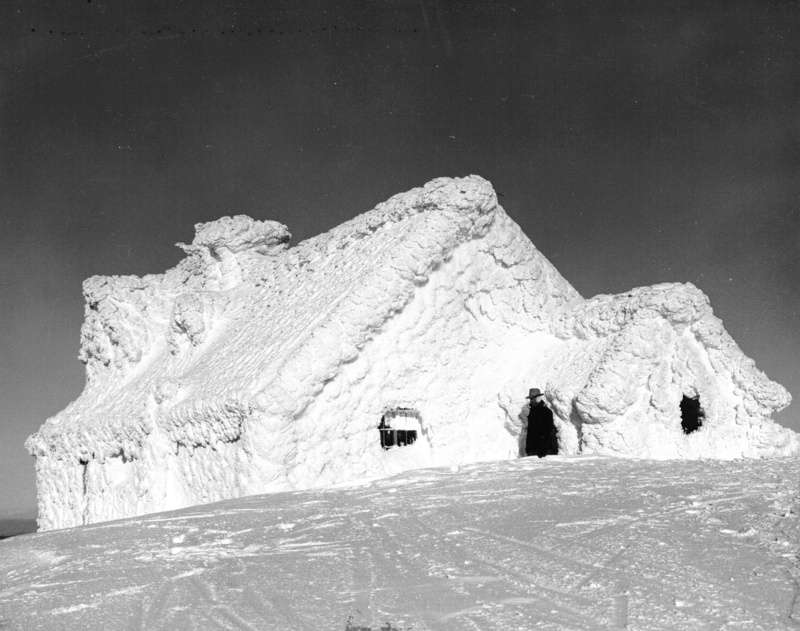 Old Ski Lodge: Image courtesy of the Tony and Suzanne Bamonte Collection, Spokane, WA. Vista House Mount Spokane date unknown: Image courtesy of the Tony and Suzanne Bamonte Collection, Spokane, WA. 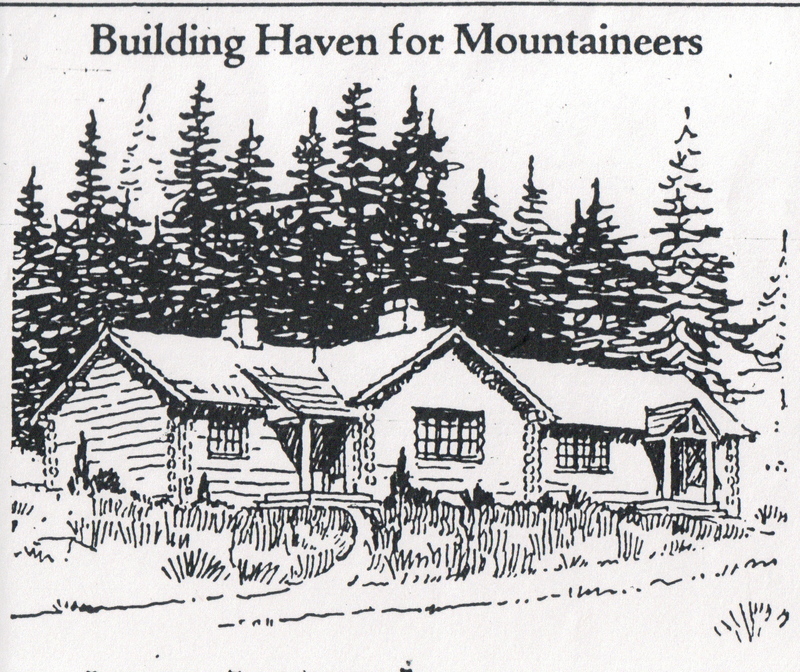 Mountaineer Cabin Plans: Image courtesy of the Northwest Room, Spokane Public Library, Spokane, WA. Arial of Mountain Lodge: Image courtesy of the Northwest Room, Spokane Public Library, Spokane, WA. Dedication of Mount Spokane: Image courtesy of the Northwest Room, Spokane Public Library, Spokane, WA. Mount Spokane in Bloom: Image Courtesy of the Northwest Room, Spokane Public Library, Spokane, WA. Tracy L. Rebstock, “Mount Spokane,” Spokane Historical, accessed April 19, 2019, https://spokanehistorical.org/items/show/118. Washington State Parks and Recreation Commission, A History of Washington State Parks, 1913-1988: Cherish the Treasure (book), 1988; Laura Arksey, "Mount Spokane State Park, " HistoryLink.org Online Encyclopedia. Tony and Suzanne Bamonte, Manito Park: A Reflection of Spokane's Past (book) 1998. Doris J Woodward, The Indomitable Francis H. Cook of Spokane: A Man of Vision (book), 2010. Mount Spokane - Vertical File, Northwest Room, Spokane Public Library, Spokane, WA. Mount Spokane - Vertical File, Northwest Museum of Arts and Culture, Spokane, WA. Washington State Parks Website, Mount Spokane Ski and Snowboard Park website.